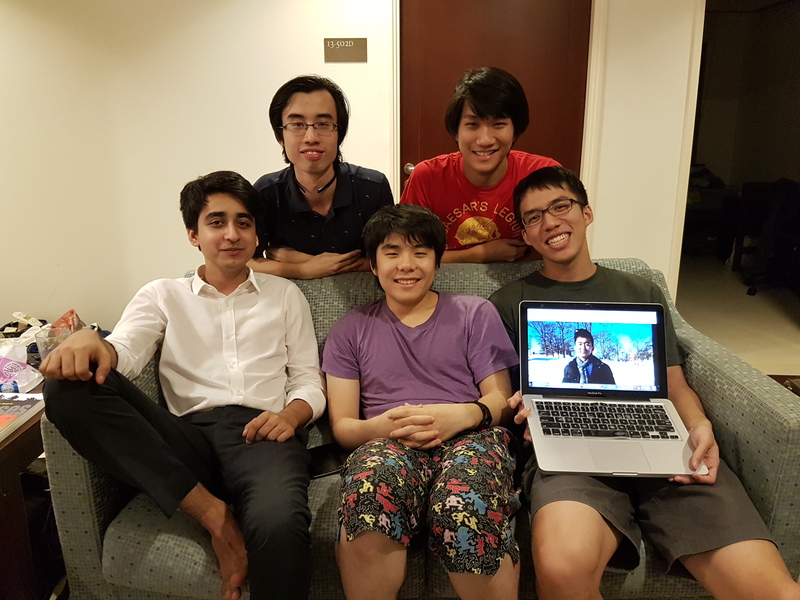 Clockwise from top left: Benjamin Leong ’17, Bryant Chan ’17, Timothy Chua ’17, Sean Saito ’17 and Manas Punhani ’17 (Missing Herbin Koh ’17). So how did all of you first meet? Sean: I did not sign up for this. Benjamin (Benji): It was just random allocation. Timothy (Tim): We were all along the same corridor [back in RC4]. Manas: But we really got along because there was this air of niceness […]. We had a common lounge, the Common Lounge was beautiful. Sean: Everyone hung out at the Common Lounge except for Tim. Benji: But on the rare occasions he did come in, was a cause of great celebration. Manas: We would get all our mattresses down, and slept in the common lounge. Sean: We had sleepovers in the Common Lounge. Manas: See, Tim wasn’t part of that. Tim: See, that’s a mega bojio (lack of invitation). From then to now, what were defining moments in your friendships? Sean: I think what’s defining is that nothing has really changed. Sean: Along the corridor [at RC4] we had a lot more people actually, it was not just the six of us but we also had these two guys. Manas: Two philosophers. They were also called pangseh (cop-out) kings ‘cos they left us. Manas: Darwinian theory, right? Only the fittest survive. Bryant: Survival of the fittest, you know? Sean: Philosophers are no longer needed in this society. Bryant: Who needs Oxford anyway right? Geez. Were there any difficulties that you guys helped each other overcome? Sean: There was one semester where we all took the same course, which was Intermediate Microeconomics. All: Oh! Oh my gosh. Sean: We were like yeah, Econs, we all did it in JC (Junior College) or high school, it shouldn’t be too bad. Bryant: It was very bad (laughs). Manas: But it brought us closer. Tim: It was like army. Bryant: Like BMT (Basic Military Training). Manas: There was a time when Benji got drunk and he cleaned my room with a tissue paper. Benji: There was a time when Manas got drunk and didn’t show up for a debate competition that he was supposed to go with me. Manas: I agree. But despite those hiccups we are still friends today. Any advice for how to maintain good suite dynamics? Sean: So every Tuesday we try to run. Bryant: Emphasis on the try. Tim: This has only happened two or three times. Bryant: By we, we mean only four of us (Bryant, Sean, Tim and Benji). Manas: I’m dead in spirit. Because whenever they go to McDonald’s, I say I would like to buy McDonald’s as well but they’ve never offered. Benji: So we run to Buona Vista McDonald’s and back. Wait, you run to McDonalds to buy food? Sean: So we run to McDonald’s. By then we’re hungry right? We buy McDonald’s. Manas: They take the bus back! Sean: So the thing is you have a double increase in utility if you have a utility function. You have the pleasure of running and you feel good about yourself after exercising and you eat junk food and feel good about yourself. Bryant: And you have the company of your friends and you get the knowledge that Manas isn’t there (laughs). The Satisfaction of Manas not being there. Sean: These are things that we learn in Microecons (laughs). Benji: So Prof Saran, if you’re there, I hope you’re listening to this. What are some things you guys can’t stand about each other? Benji: It’s mostly Manas, really. Manas: What mostly Manas? Only you can’t stand me! We can’t stand Tim’s Chinese Opera Singing. Tim: Oh man, I don’t man. Manas: we can’t stand how good Sean is at Fifa. Sean: I can’t stand it either. Manas: We can’t stand how handsome Bryant is. Bryant: What can I say man. Benji: We get too many visitors in our suite. Manas: Oh! Benji has this crazy nice habit of sleeping not in his bedroom. Anywhere but his bedroom. So sofa, floor, table, everything is game except for his own bed. Benji: I’ve been sleeping more on my bed this semester. Bryant: You know one time Mel, Ami, Kevin and I were drinking at Casa Clementi and the cops came and then they thought Benji passed out ‘cos he slept on the floor. 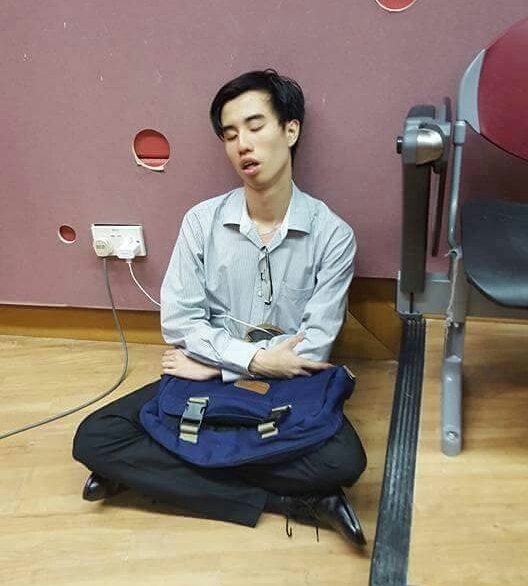 He was just asleep on the floor. Benji: They were drinking, I wasn’t. But I passed out first. 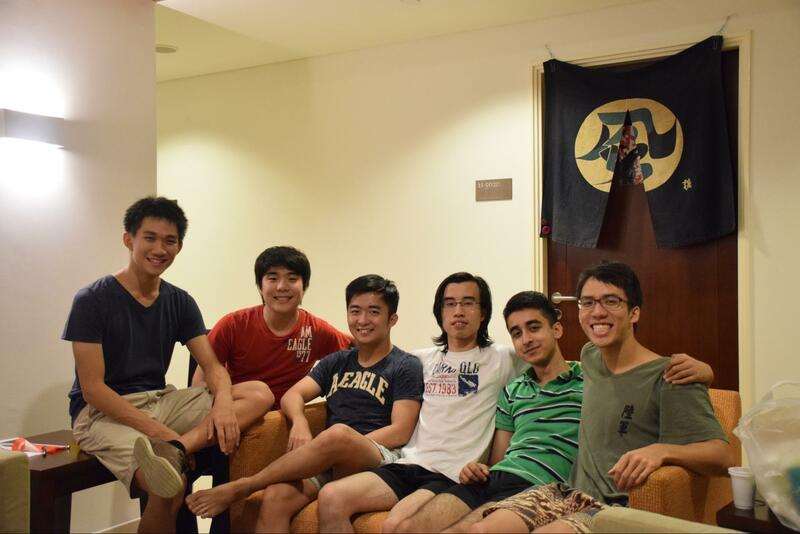 ‘sofa, floor, table, everything is game except for his own bed.’ Benjamin Leong ’17, recipient of the Best Person at Yale-NUS College award. From what I’m gathering, you guys seem really cool with each other. Benji: We’re just very chill. Manas: I mean we are missing one person. We don’t know who this Herbin guy is. Benji: But seriously though, I think it’s very hard to get all of us in the suite at the same time. Bryant: But when it does happen it is special. Manas: We have a dance as well. Benji: So we have a dance when the five of us are together, and we plan to do it with Herbin. And we waited three weeks for that opportunity when all six of us were in the suite. Benji: It took us three weeks to get all six of us in the suite at the same time. Tim: But it was beautiful. Manas: The great thing is, if you look at other suites there’s something common amongst them. But there’s no any one activity that really ties us together. Manas: And leeching on free aircon. Apart from that there’s no other quality. I think as people… we’re just nice people lah.